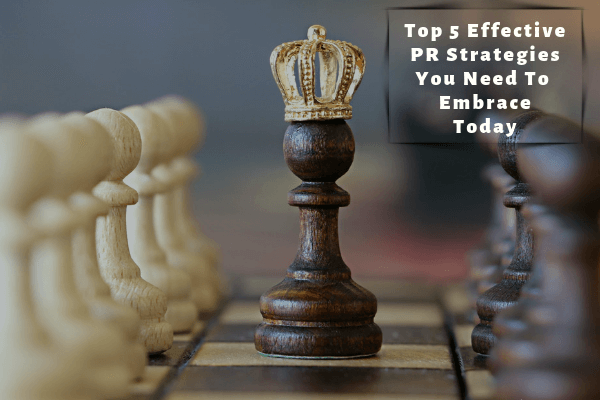 As a PR expert you should learn to design and successfully execute effective PR strategies. The drastic advancement in Technology calls for a strategy plan shift. Therefore it is time for you to drop off your “traditional” ways of handling your PR Practice and embrace the new trends. Here are 5 ways in which you can hack it through; in a generation that only speaks the language of the millennials. Today, having an online platform where your brand interacts directly with the consumers can dramatically change your profit margins. According to Internet World Stats, as of June 2018, the world’s population with internet access was estimated to be 55.1 %. This gives you more reason to adjust your PR to align with the digital era by establishing a strong online presence for your brand. You no longer have to hand out questionnaires or wait to read the customers comment on your suggestion box for you to gauge how they find your products or services. Adopting and implementing digital tools in your practice is the first step into creating effective online PR Strategy today. Utilize simple tools like Online Ad Campaign, Facebook Live Videos for your events and Websites to keep your customers updated. Your strategy is not effective unless you can measure the results. Online tracking tools like SEO rankings can help you measure how effective your online PR campaigns are doing. For example, you can track engagement with your published articles. According to Traackr influencer marketing is the process of engaging individuals who create high impact on lead generation using their big following on their social media platforms. With this generation, buying decisions, for instance, are greatly influenced by Third Party opinion. Using influencers who fits in your industry will boost your credibility and increasing your brand awareness. Professional Training on Digital PR. Digital PR basically refers to creating and maintaining a good online presence. In the modern era every PR professional need to understand how to translate achievements from online reports like the Search engine ranking reports. It is therefore necessary to undergo short courses on Digital marketing to improve your PR Practice.